A machine gun is a weapon that can fire one bullet after another as long as the trigger is pulled and there are bullets ready to fire. This is called automatic fire. Machine guns fire bullets delivered from a long chain called an ammunition ('ammo') belt, or use spring-loaded boxes called magazines. Machine guns are usually divided into heavy-duty machine guns, light machine guns, and sub-machine guns. Assault rifles have automatic capabilities but they are not called machine guns. 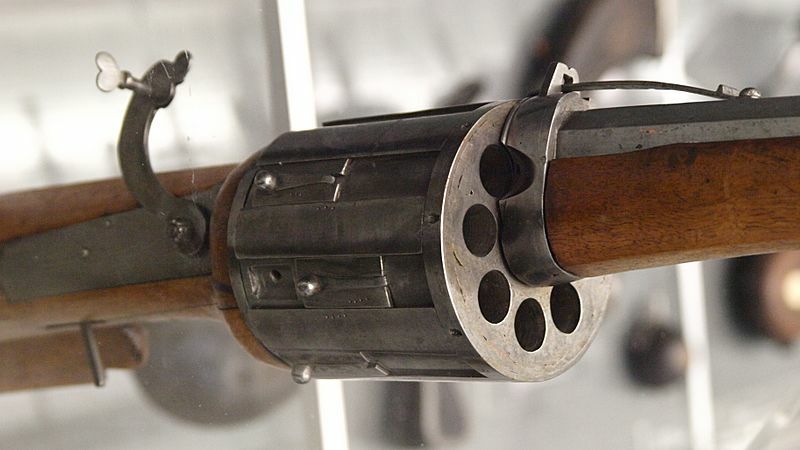 They are used mainly in semi-automatic fire, and also normally fire lighter bullets than machine guns. Heavy machine guns (HMG) are placed on the ground, supported on a tripod, or on a vehicle. The vehicle would have a support for the gun with a rotating base or turret. Heavy machine guns often need two men to operate it, one to assist with loading ammunition, and one to aim and fire. It always takes two or more men to carry one. 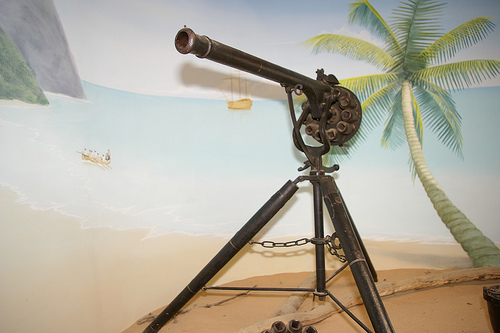 Famous examples include the M2 Browning machine gun, the MG42, the M1919 Browning, the M134 minigun, the Type 92 machine gun, and the Maxim gun. 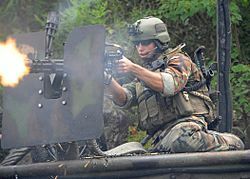 Light machine guns (LMG) are usually carried and fired by one man. Despite the name, an LMG is almost always rested on a bipod or a tripod while firing since the gun is normally too heavy to fire while standing, although some LMGs such as the Bren LMG and the BAR are light enough to be fired without a bipod or tripod when a sling is worn around the user. Famous examples include the Bren, the BAR, the SAW M249, the M240, the RPD, the RPK, the PK, and the M-60. Submachine guns (SMG) are lighter weapons which fire less powerful bullets (usually pistol bullets). They are much easier to conceal and carry than the heavier versions. Submachine guns have handles (stocks), and are carried by individual soldiers or police officers. Famous examples include the Uzi, the Heckler & Koch MP5, the Thompson (a.k.a. Tommy gun), the MAC-10, the PPSh, and the MP-40. 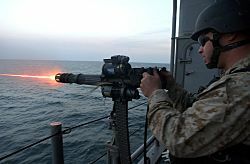 Many heavy machine guns, such as the Browning M2 .50 caliber machine gun, are exact enough to hit distant targets. 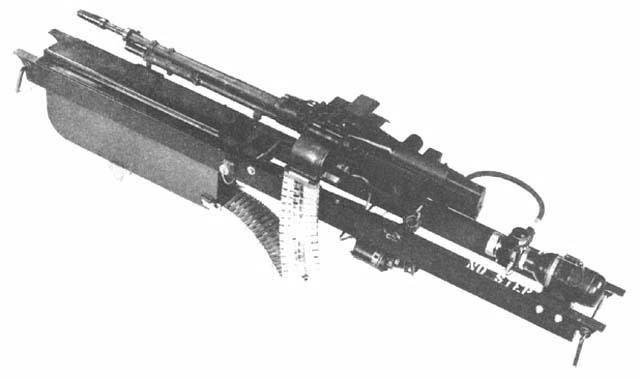 During the Vietnam War, Carlos Hathcock shot at 7382 ft (2250 m) using a .50 caliber heavy machine gun with a telescopic sight. Collection of old machine guns in the Međimurje County Museum (Čakovec, Croatia). Machine gun Facts for Kids. Kiddle Encyclopedia.